For another year, Sadako has participated with an own booth in the largest and most important event of the year for the GPU developers, organized by Nvidia and celebrated in Munich from 10th to 12nd October, 2017. An important part of the Congress has been dedicated to Artificial Intelligence and Deep Learning, which are our key technologies. 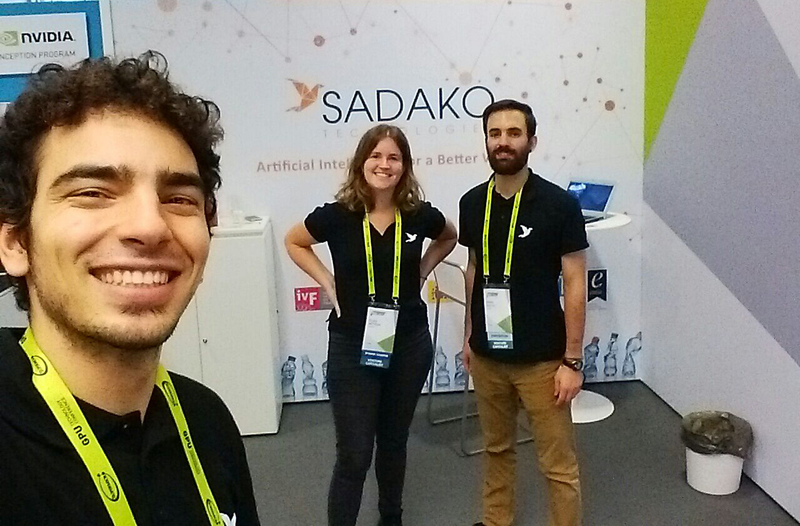 Sadako booth was hosted by our AI team: Ferran Rigual, Olaia Artieda and Grant Bartel. This year we have showcased the European Project RUBSEE (AI for waste stream monitoring), have had the opportunity to make interesting contacts with potential partners, providers and other AI projects and companies, and also to learn from the many events included in the GTC agenda. See more GPU Technology Congress 2017. We’re Hiring – We Want You !